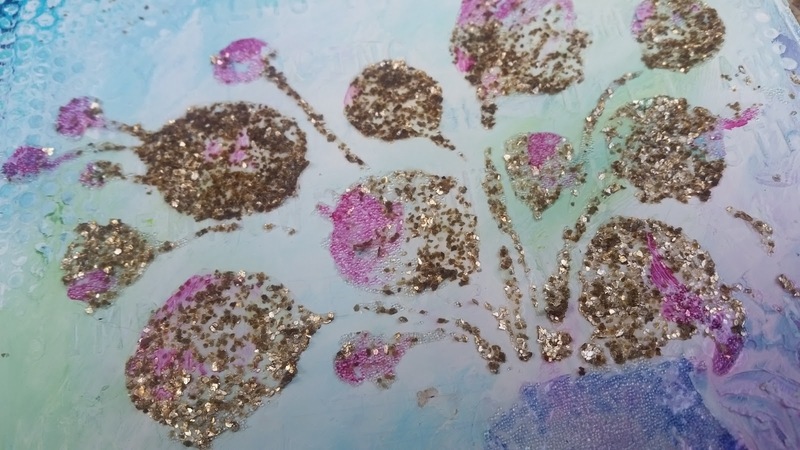 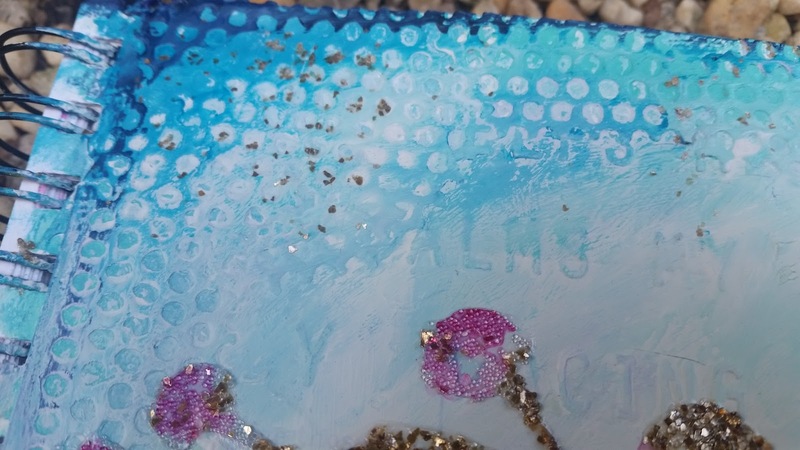 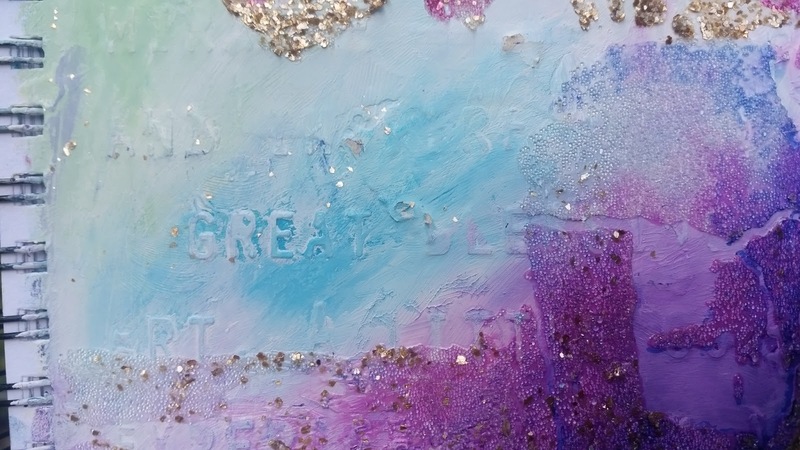 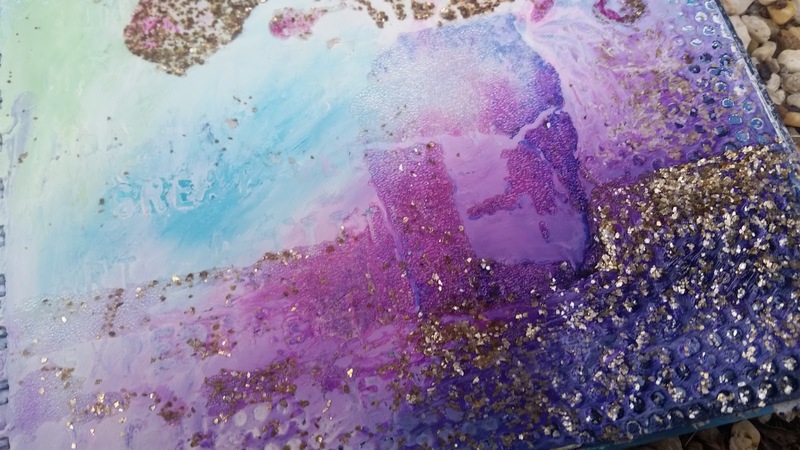 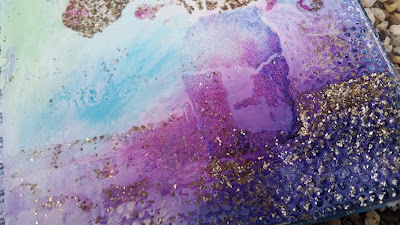 I was painting the other day and suddenly I thought, "What if I use Glass Bead Gel and Gold Mica Flakes together?" So, I tried it out and man oh man! 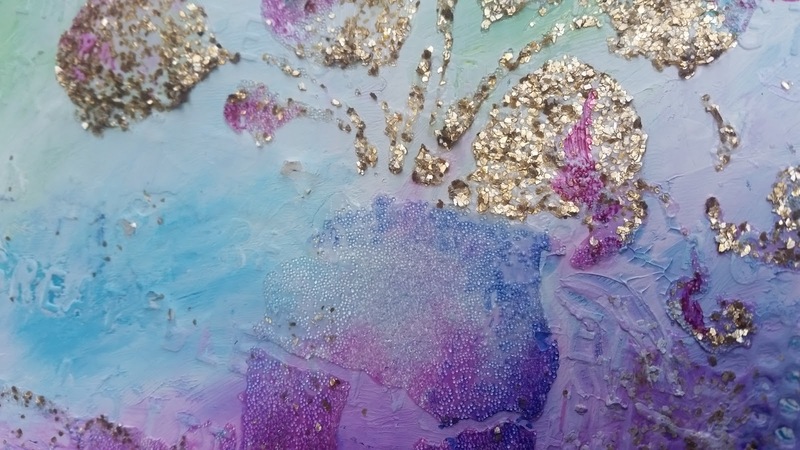 Is the result a shimmery, shiny, glorious mess of texture. 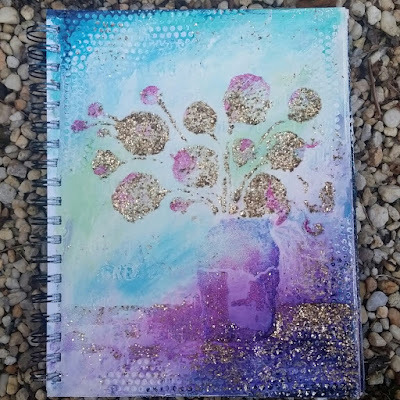 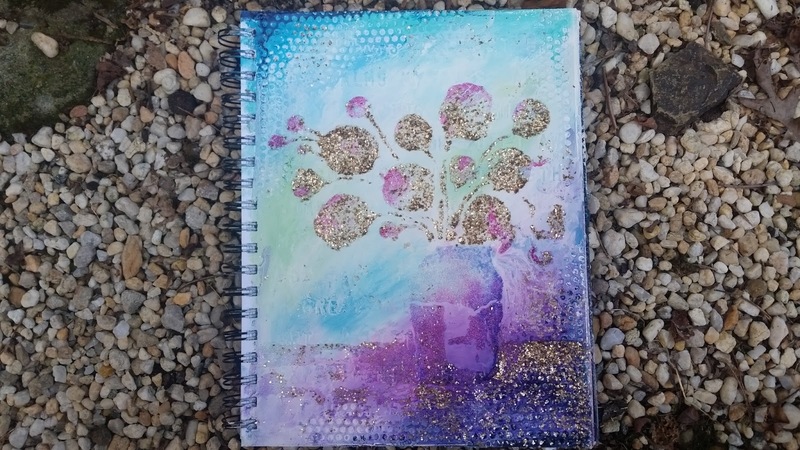 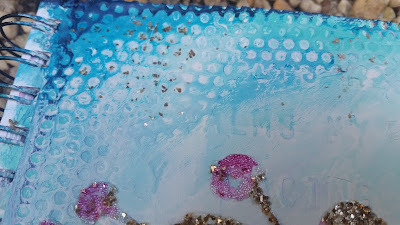 Here is an art journal page I made using this mixture thru a Donna Downey Floral Stencil.